Atoosa Vakili is the founder and managing attorney at the Law Office of Atoosa Vakili, US Immigration Legal Services, based in Irvine, CA. She specializes in employment and investment based visas and green cards as well as in consular processing. 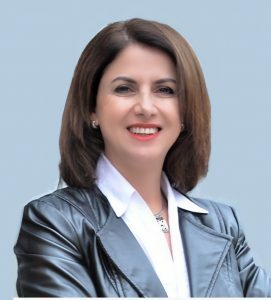 Atoosa obtained her law degree from the University of San Diego School of Law and was admitted to the California Bar and the 9th Federal Circuit in 1989. She started her legal carrier at the San Diego civil litigation law firm of Backes, Friesen & Wolf and later formed the partnership law firm of Solomon & Vakili. In 2009, she formed US Immigration Legal Services to concentrate on immigration law. Atoosa is an active member of the California Bar Association, the American Immigration Lawyers Association (AILA) and the Iranian American Bar Association (IABA). She currently serves as Advocacy Liaison for the Southern California Chapter of AILA and on the Consular Committee of the Europe/Middle East/Africa (EMEA) section of AILA. She has been a board member of IABA Foundation since 2014 and served as Chair from 2014-2016.